Sikkim, a picturesque and one of the best romantic places to visit in India is a magical destination that lures thousands of honeymoon couples in and across India. Packed with the goodness of nature and surrounded by the highest mountain ranges and hilly terrain, Sikkim is one the best place to visit on your honeymoon itinerary if you’re planning your honeymoon holidays to North East. With Glittering glacial lakes, endless pastures, waterfalls at every turn, quiet monastery, and scenic drives on some of the best motorable roads, planning your honeymoon tour to Sikkim is an adventure you want to cherish again on your 25th anniversary. Spend a few 2-3 days in North Sikkim and feel the crisp and clean mountain air at Thangu, a peaceful village and one of the best places to visit in India for nature lovers. 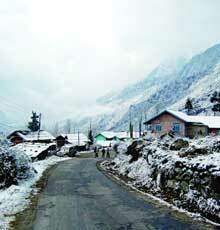 Sikkim is not just a tourist destination, but also a one and only life experience you would not soon forget. Take one of our North Sikkim honeymoon packages and let the flames of burn even hotter on your honeymoon tour to Sikkim. If you’re a couple who likes to choose adventure over romance on your romantic honeymoon in Sikkim, then you would be glad to know that it is also every adventure sports lover favourite destination as it offers plenty of adventurous activities to indulge in. You can try out Mountain Biking, Trekking, River Rafting and Yak Ride for the ultimate romantic honeymoon in Sikkim. 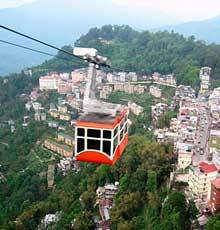 Mangan - the capital of North Sikkim which is out of the tourist radar but is a high-class offbeat destination. Thanks to its astounding landscapes, gripping nature. 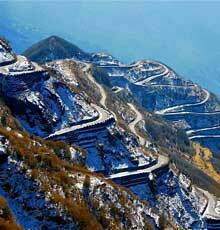 You should also take a scenic bike ride in the tricky and twisty terrain of Zuluk - which is 90 km (approx) from Gangtok. No tour to Sikkim is complete without touring the divine monasteries of Sikkim - Rumtek Monasteries, Namgyal Institute of Tibetology, Pemayangtse Monastery and Phodong Monastery, not only does it provide the feeling of peacefulness but also gives you the opportunity to experience Buddhism culture to practise historic values and culture. Celebrate a new romance or a special anniversary in the most romantic spot in Sikkim, name - Tashi View Point which is tucked away a few km from the main city of Gangtok promises to provide you with the mesmerizing views of entire Kanchenjunga. The town of Sikkim is warm and beautiful throughout the year, but some of it’s distinct has something specific to offer. Because of the many places of attractions that span over the whole Sikkim, you would have to check our budget honeymoon packages to Sikkim for a hassle-free honeymoon in Sikkim. Whether you’re a solo traveller, seasoned travel junkie, or looking for a romantic honeymoon in Sikkim, our budget Sikkim tour package will take you beyond the guidebooks with a driver-guide who tells you laugh-out-loud stories, connects you with historic and cultural tales. From picturesque terrain to serene mountains: you'll discover the scenery lives up to its famous reputation on your romantic honeymoon in Sikkim. On your Sikkim holiday packages, you’ll get to know that Sikkim’s landscapes are more dramatic than what you see in the movies and more beautiful like a bride. Choose one of our Sikkim honeymoon packages based on your theme, interests and flexible departure dates. When you book one of our Sikkim honeymoon tour packages, themes include honeymoon holidays, romantic getaway, short weekend getaway, group tours and solo tours and you get a chance to cater your holiday or honeymoon on your own you get the dates you truly want, the flights that work best for you, the hotel with the best reviews. Honeymoon Bug have travel experts who have been to the destinations you’re dreaming to visit. 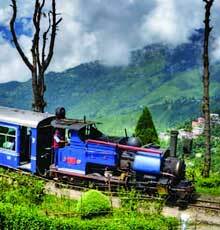 So, whatever trip you choose on your Sikkim tour, we’re here to help you every step of the way. You can get best-assured honeymoon packages in India by booking directly on our website or by calling one of our concierge professionals to get the best of Sikkim tour package. We deal with best the very excellent tour experts who're licensed to conduct their journey enterprise in the destination of your preference. With the use of our messaging interface, you get a chance together with your desired location specialist to personalize your holiday to meet your actual necessities. Honeymoon Bug is a #1 award-winning tour and travel company that is enthusiastic about catering honeymoon vacations that connect guests directly with insider local specialists primarily based in the destination, making sure which you have the hassle-free experience. After you are glad along with your Sikkim tour package, you could ebook your entire trip to Sikkim via Honeymoon Bug secure payment platform.